January may have been ‘dry’ in more ways than one for many of you, but around Cropredy Lawn and the racecourses we had hoped to visit during that month, ‘dry’ never appeared in the descriptions of the ground. The only advantage of wet weather is that we get to seriously abuse the luxury we have in our Water-Walk! Within a few minutes of completing their cantering or galloping exercise, the horses are immersed in two feet of cold water for just as long as we want them to be. Horses need to walk and wind down after exercise for at least twenty minutes, so they might as well do it in therapeutic cold water. Rugby players used to wallow in hot or tepid muddy baths, but nowadays it is all about cold and ice baths to disperse bruising. This treatment has to be good for cooling tendons, shins and ligaments as well as general muscle wind-down after strenuous exercise. We also use it for the horses coming back from a lay-off or those throwing up little splints or knocks as trotting through the cold water also produces great healing effects. We have only managed to muster ten runners through ‘soaking wet January’ because we seem as usual to lack horses that are capable of handling serious Winter ground. Whether it is the type of horse we can afford to buy or the fact that most of them are on the younger side, we lack proven mud-larks. DASSETT GOLD, COSMIC DIAMOND and YOUKNOWELLcould not cope with heavy ground at Uttoxeter and even Huntingdon. The “highlight” of the month was MISS TONGABEZI getting some ‘black-type’ when running on strongly to finish third in the Mares Listed race at Doncaster. Having bred five generations of this family at Cropredy Lawn since 1963, her gaining the coveted ‘black-type’ commits all future Webbers to National Hunt breeding for another 55 years! Although small in stature, “Tonga” must have a massive heart that can only just be crammed inside her skin. 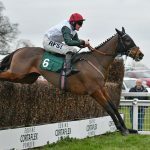 She is now aimed at the Mares Challenger Handicap Series Qualifier at Leicester next week, with her ultimate target being the final at Haydock at the end of March. I fear I have to also mention the ‘lowlight’ of the month as well which was the tragic loss of BREATH OF BLIGHTY at Kempton. “Bob” was not amongst the highest achieving horses to have been trained here by a fair way, but ratings become irrelevant when these horses develop into such kind and gentle characters. They soon cease to be creatures and swiftly become our companions and friends. “Bob” spent many hours of most days out in the ‘Chesnut paddock’ beside the drive and nearly every day somebody asked who that lovely horse was. When in his stable, his beautiful white-blazed head would always be looking up the yard, interested in everything. Our Head Lad Trevor looked after and adored “Bob” and despite having had to deal with tragedies many times before in all his years in racing, found this day as difficult as any. This is the horse I broke my pelvis on just over a year ago, but I promise I’d forgive him anything. Dear “Bob” fractured his left hind joint on take-off at the second-last fence at Kempton and despite receiving the most brilliant and immediate care, had to be sent on his way to Horse Heaven, where I hope he has a paddock that he loves as much as the one he had on Earth. Our very special thanks go to “Bob’s” owners Andrew and Jane Nicholls who handled everything so understandingly and been so supportive of all of us. The changeable weather has probably been the cause of an occasional cough amongst the younger unraced horses during the last three weeks. We hoped to give educational gallops to two un-raced youngsters at Towcester last week but both EURKASH (Irish Wells 4g) gave a cough the day before and then GO AS YOU PLEASE (Jeremy 5yo gelding) did not eat up on Thursday night. This meant a 6 am. phone call to “A.P.” to stand him down from the duty of riding his Guv’nor’s horse! Does this not still speak even more eulogising volumes about The Man? ELITE GUARD (Kapgarde 4g) was scheduled in to work at Newbury this Sunday, but he missed a week so will not go there and the frost may delay the event too. 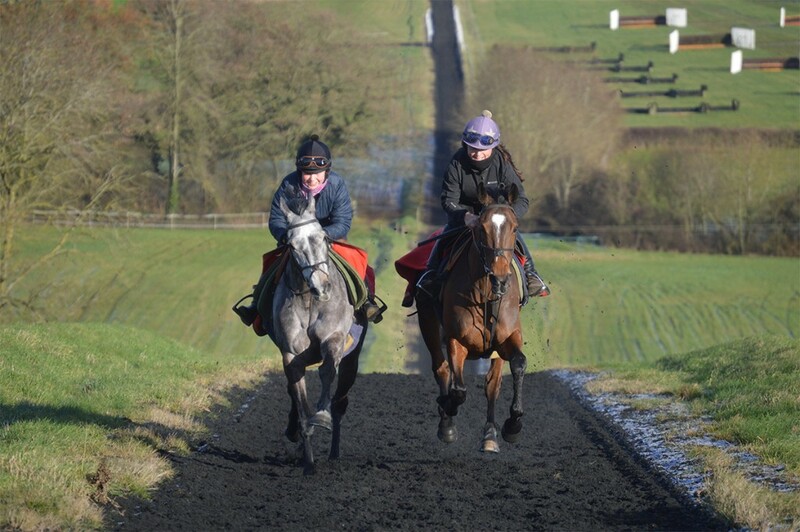 The youngsters continue to really please and are all ready to resume full work after ten days on the easier list. GWAFA made a very pleasing comeback on the All-Weather at Lingfield three weeks ago, travelling very well until having a little ‘blow’ on the turn into the straight. Fran Berry gave him a very understanding ride and reported that the horse was really ‘up for it’ but needed the run. We were also especially mindful of not pushing him down the hill and around that sharp bend due to his previous suspensory problem. We have also taken the extra precaution of sending GWAFA for an ‘over-land’ wind test at Ben and Vicky Brain’s, just in case, there was a little ‘tweaking’ he could benefit from. Happily, his throat and larynx look to be in perfect working order, especially for a horse that has never had any surgery before now. GWAFA was top-rated in one column for The Betfair Hurdle this weekend at Newbury, but sticky ground is the worst ground for a horse with his history. 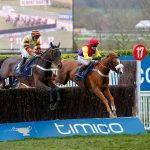 The hurdles handicapper has given him ‘a right chance’ by dropping him from 149 to 140 which should see him get into The County Hurdle with a lovely weight and hopefully the ground will have dried by then. There is always the possibility of looking at The Imperial Cup at Sandown as well? The older supporters amongst you may remember us winning that with Carlito Brigante and then him being just beaten by Barna Boy of N.J. Henderson’s in The County Hurdle? Jamie Osborne’s quote when coming in at Cheltenham was… “Well, that just f***** up the 60k bonus for us!”. I think the two-mile All-Weather handicap at Wolverhampton this Monday looks the right preparation race. 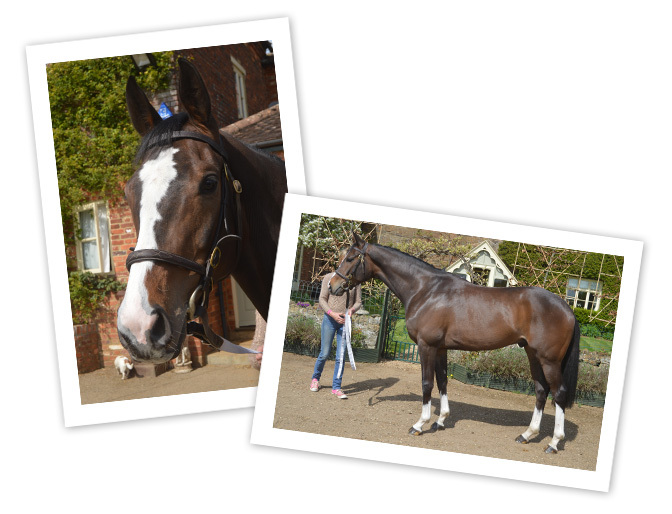 Two lovely new fillies have arrived in the yard during the last few days. We bought a very attractive un-raced 3.y.o. 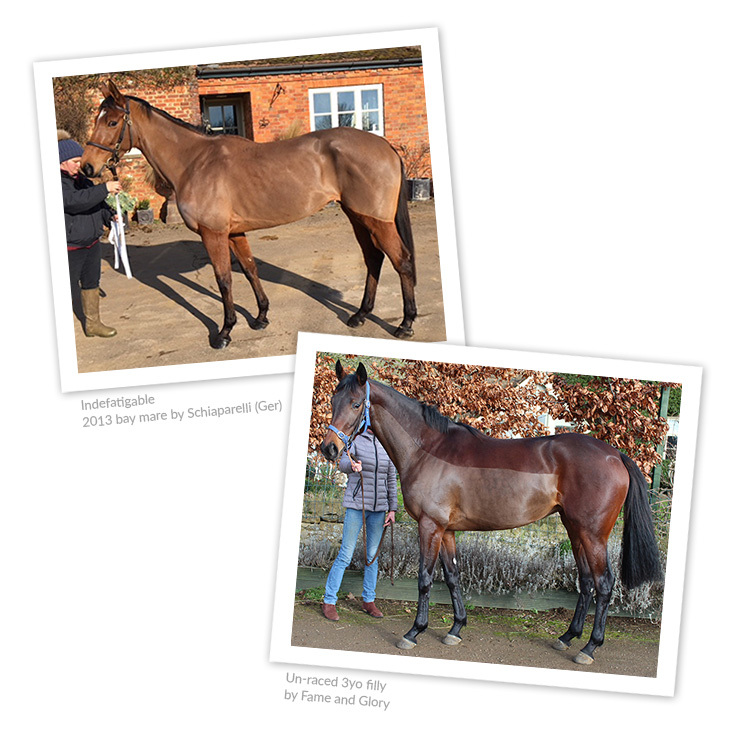 by Fame and Glory out of Martyn Meade’s yard at Tattersalls February sale. She was in very early as Lot 7, is very beautiful and has a very promising pedigree as her dam has bred four winners from four foals. This filly was understandably a bit backward and so just cantered away in Newmarket but seems to have a superb outlook and temperament. Fame and Glory’s terribly early death could prove to be a huge loss, as he has sired some lovely looking progeny from only a few crops and was the most serious racehorse himself. Paul Shanahan thankfully liked her as much as me, so she will carry his wife’s famous and lucky colours. INDEFATIGABLE finished third on her debut in a competitive Mares bumper at Punchestown three weeks ago. This precipitated a phone call from her owner and breeder John O’Connor, a life-long and legendary friend of mine. John loves this mare and had to stay involved, but wondered if we could find a partner for him. Well, ‘between the jigs and the reels’, Philip Rocher has stepped up to the plate and this lovely filly arrived in the yard early on Tuesday morning. Philip’s daughter Kate went over to inspect the filly and she looks to have approved ‘a right racehorse’! To add to the excitement of all this, the filly who won INDEFATIGABLE’s bumper at Punchestown, only beating her about three lengths is called Relegate and she won the Grade 2 mares bumper at Leopardstown on Sunday! Our plan is to try to make her a winner in about four weeks’ time and then aim towards the Listed Mares Bumper at Aintree. 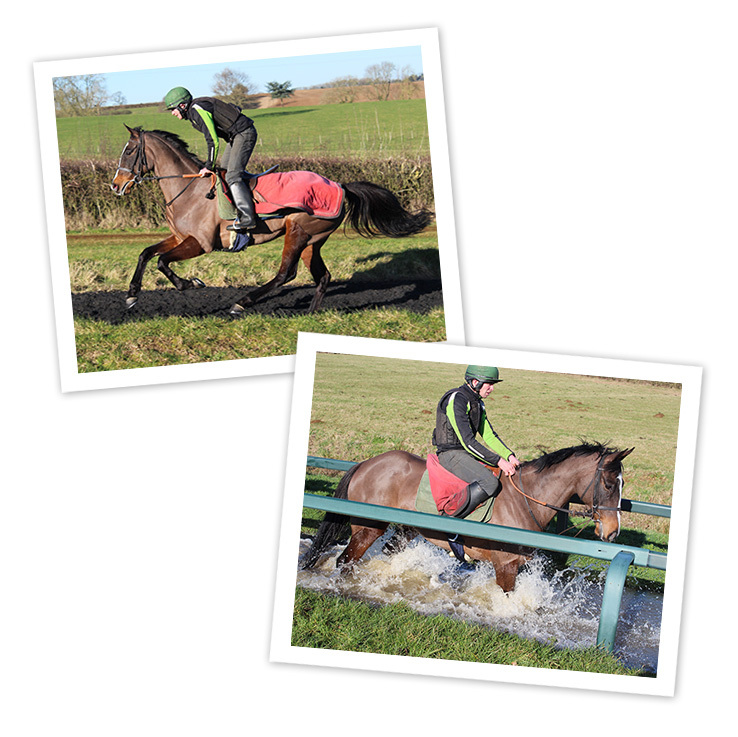 We hope to get busier again next week with the afore-mentioned GWAFA running at Wolverhampton as part of his unconventional programme towards The County Hurdle at Cheltenham. 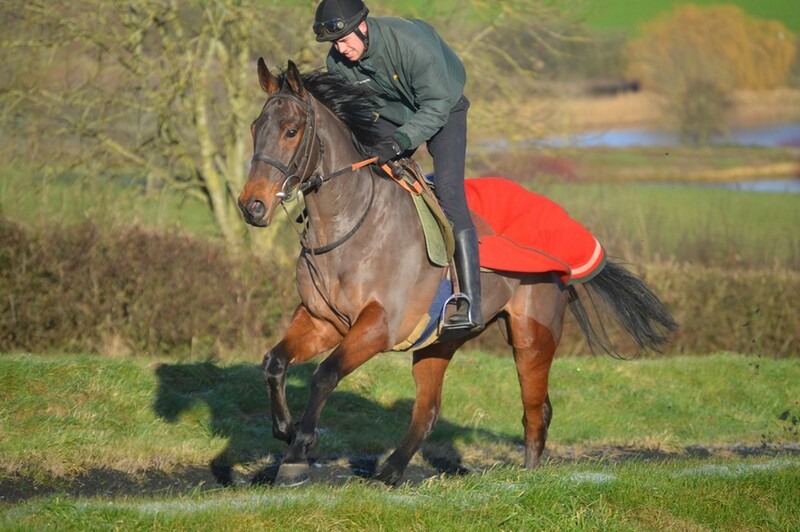 VIKING QUEEN (pictured) has entries at Lingfield on Tuesday and in the Mares Grade 2 Novice Hurdle at Sandown on Friday. She has come on for her debut over hurdles at Doncaster, since when she has been delayed by the appearance of a splint on her near fore. YOUKNOWELL has had a luckless time so far after putting her foot in a hole at Towcester and then getting bogged down at Huntingdon. She needs her ‘third run’ somewhere to get handicapped and then find some better ground in a few weeks time. 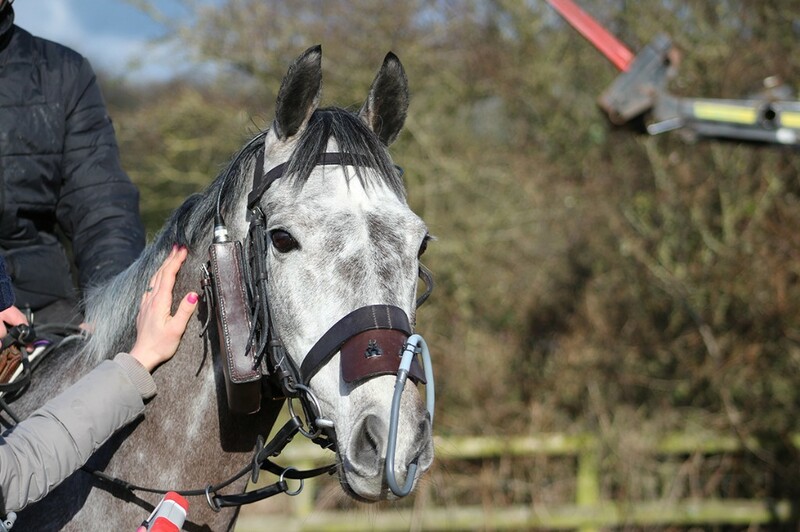 MISS TONGABEZI will hopefully go to Leicester for the Mares Handicap chase next Thursday.